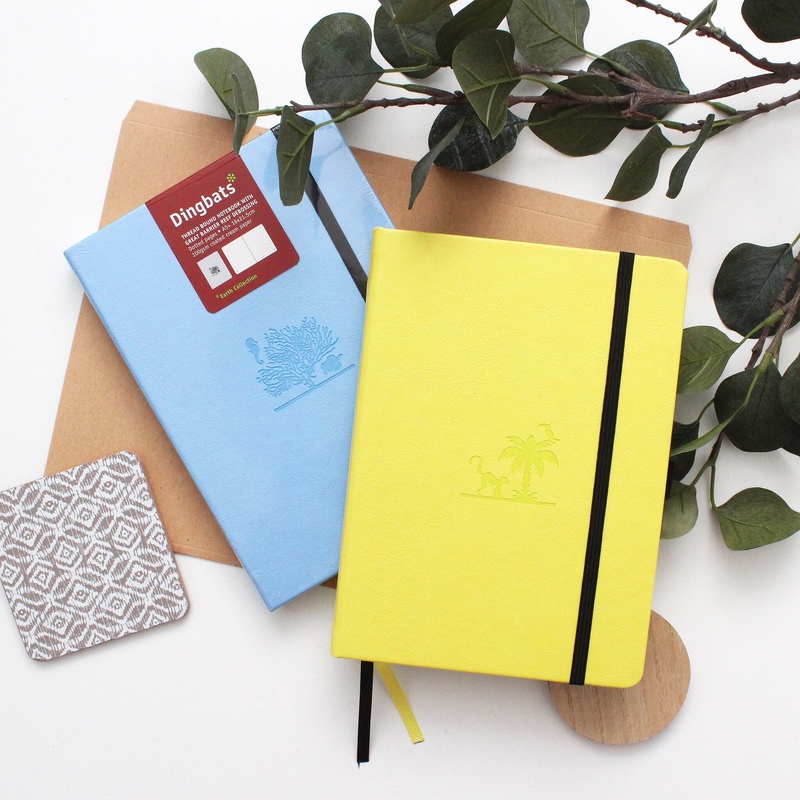 Dingbats *, a Lebanese company, just released a new collection of notebooks. The Earth Collection features fragile ecosystems from around the globe threatened by human activity. 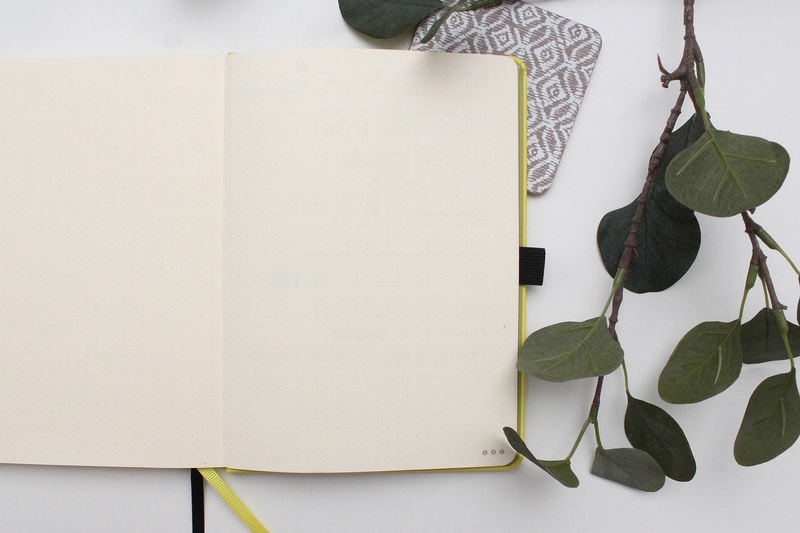 Each notebook represents a fragile ecosystem. 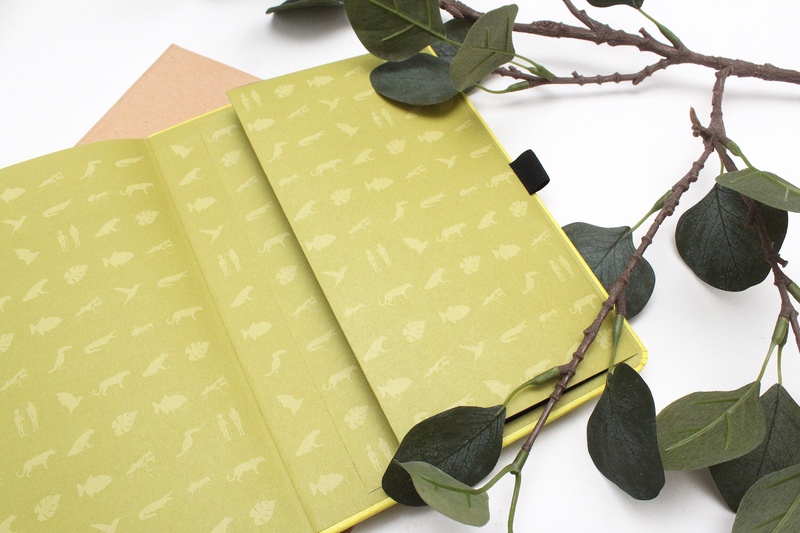 The hard cover is embossed with a cute illustration of one of the ecosystems. Dingbats * is a “green” brand. 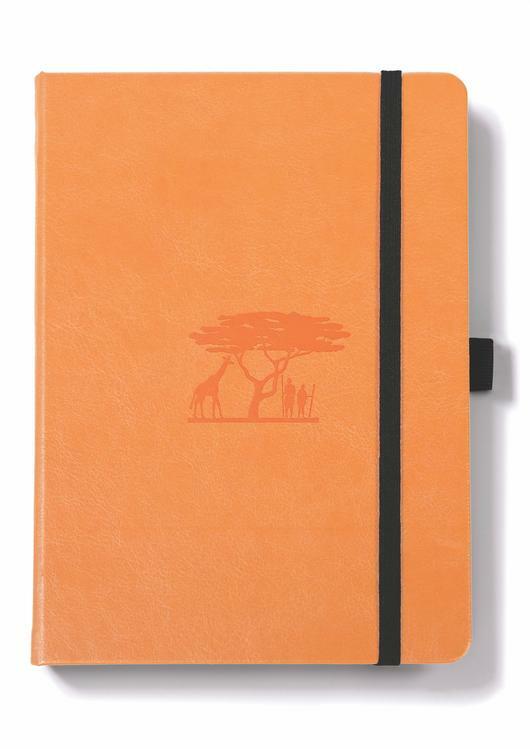 All materials used for the notebooks are non-animal based. The paper is FSC certified (the FSC labels guarantee that the trees that are harvested are replaced or allowed to regenerate naturally). 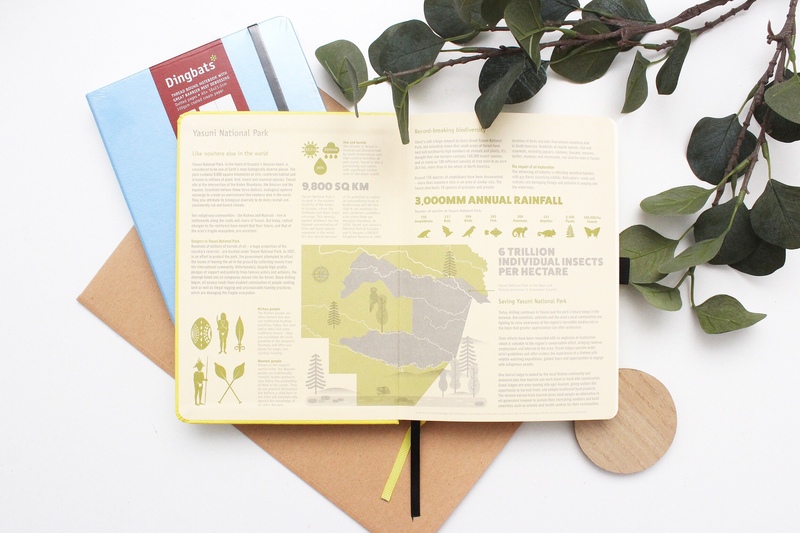 An infographic spread is printed on the inside cover of the notebook. It contains information about the ecosystem and how we can help save it. ⁃ Tab key. Little tabs are printed on each page. 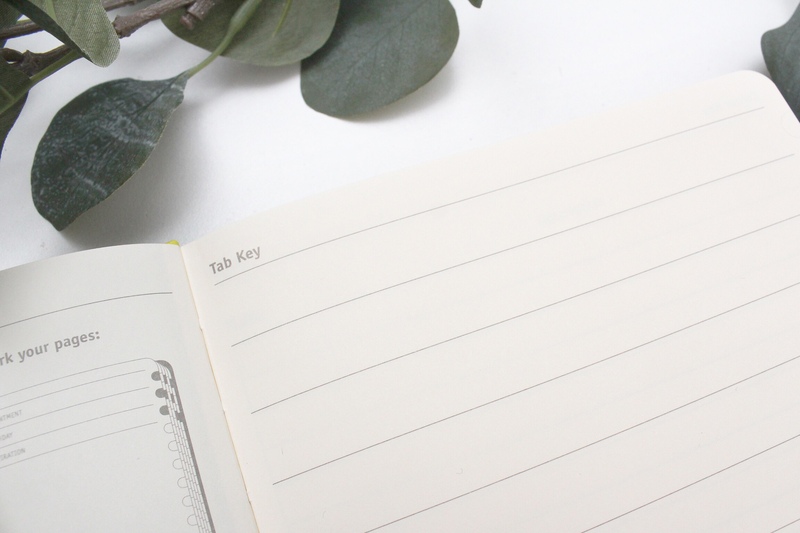 Assign a different color to each topic and color the corresponding tab on your key page. 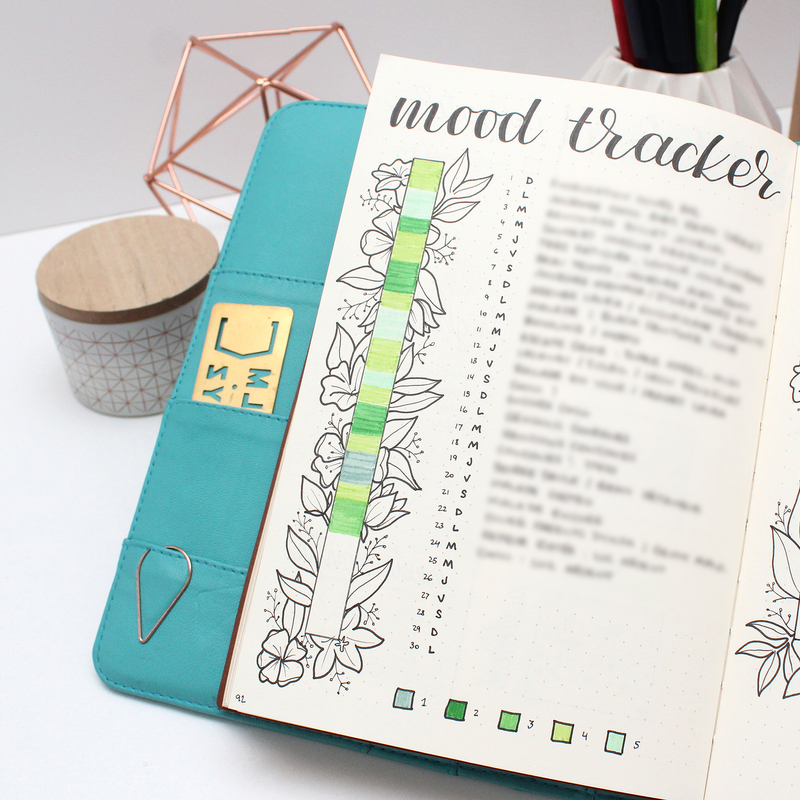 As you write in your journal, apply the appropriate colors to the tabs on the page. It will allow you to easily identify items via the colors on the visible edge. ⁃ Key and color code. 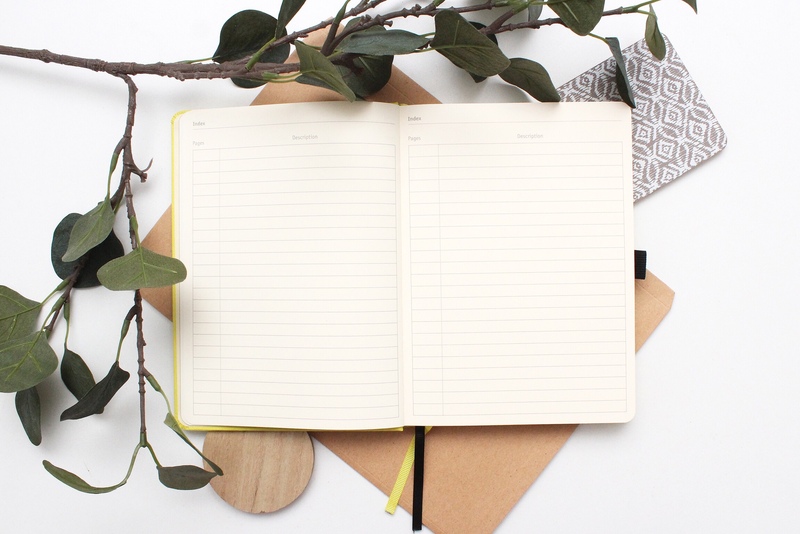 Use this page to create a color code for each category of your life and to list the bullets you’ll be using in your journal. ⁃ Index. 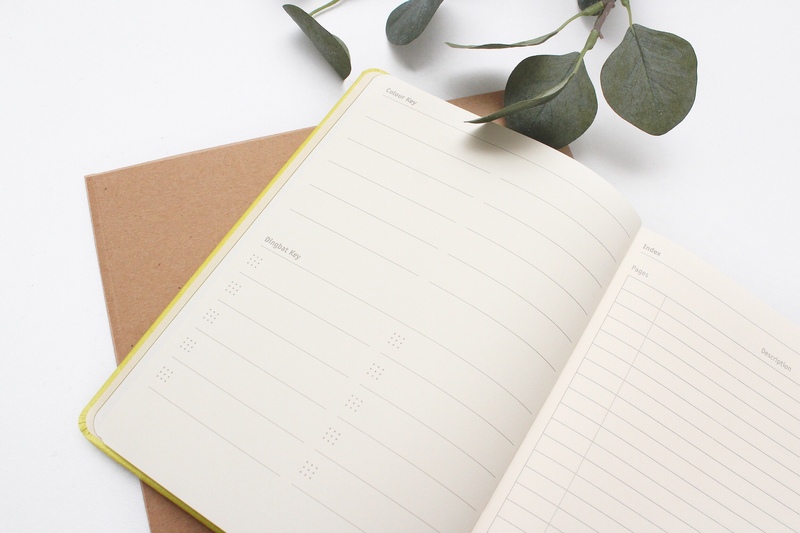 The notebook features 3 index pages. ⁃ Future log. 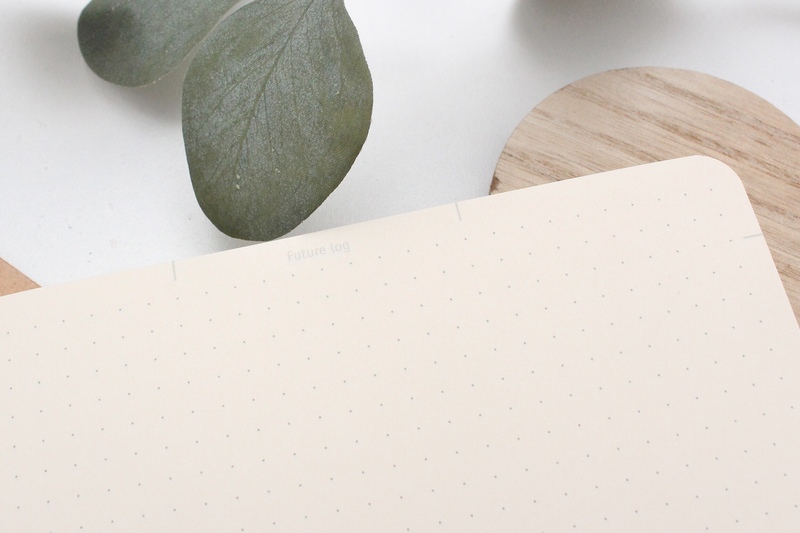 The 4 “future log” pages only have some marks to help you divide your page. They’re really discrete. Using them is not mandatory of course, but they can be very useful! 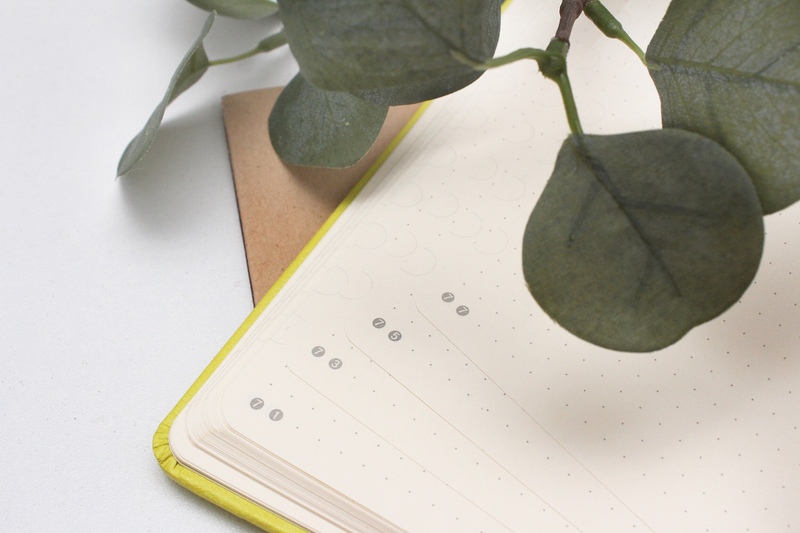 The notebook has 184 numbered pages and 16 micro-perforated pages. 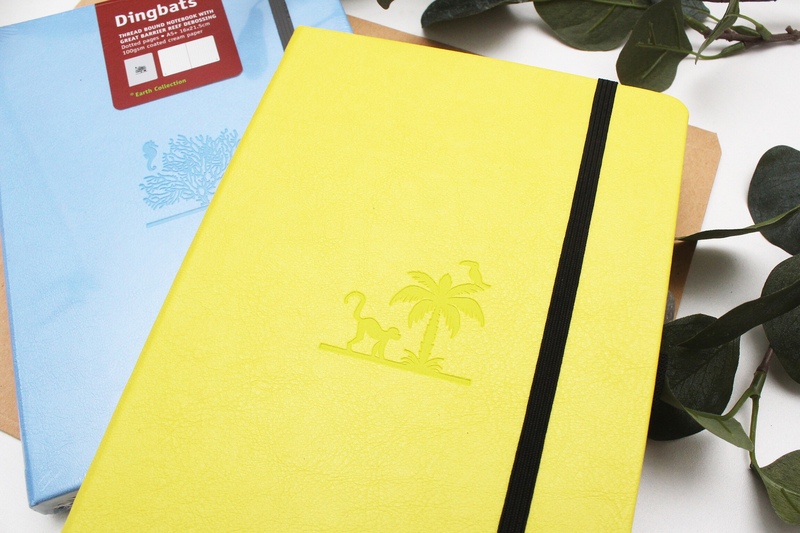 Each page is 100gpm coated cream paper. 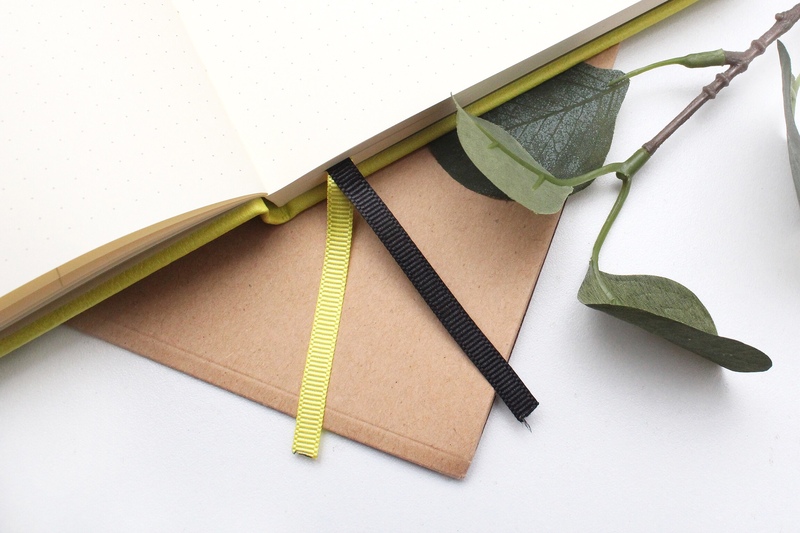 Other features include an elastic closure, an expandable pocket, two bookmarks and a pen loop! 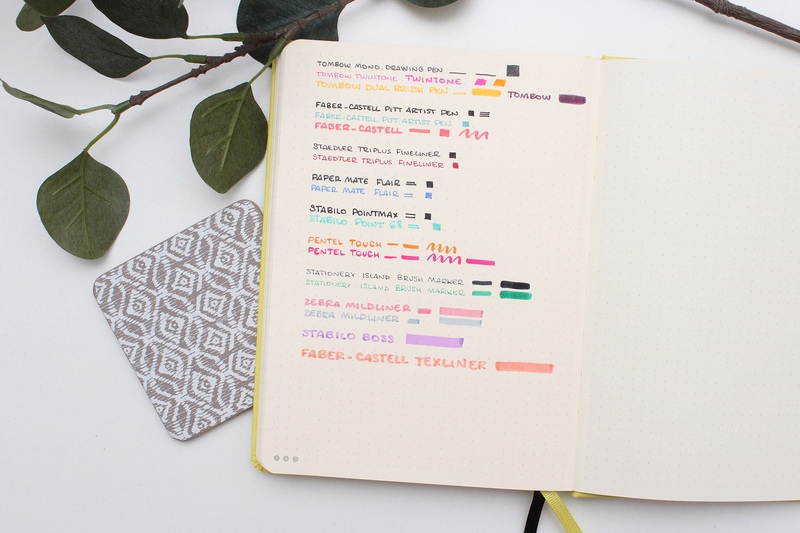 Every time I receive a new notebook, I throw myself at my pen collection, select a few of each brand I own and test them on the last page of the notebook to see how the paper handles ink. The paper from the Wildlife collection notebooks was good quality even though some of my pens ghost and bleed through. 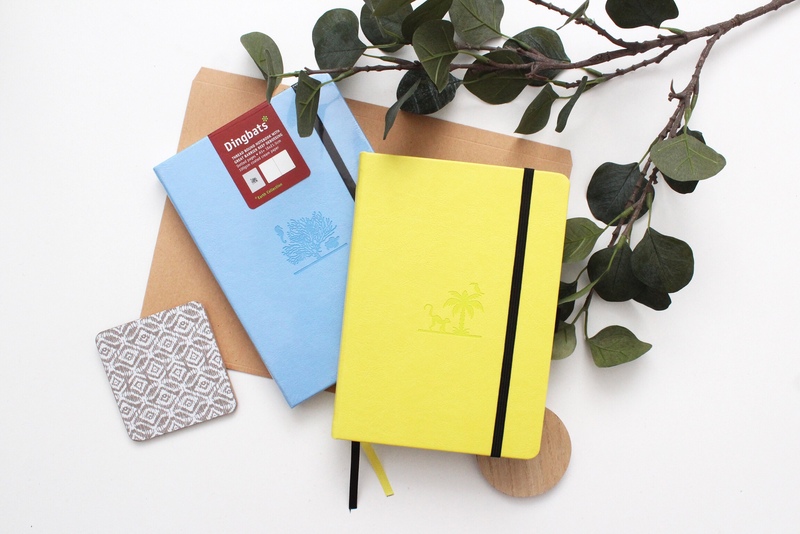 For their new collection, the brand updated the quality of their paper and it’s almost perfect! I usually review every brands one by one. It won’t be necessary here. The result is clear : ghosting is very very light and there is absolutely no bleed through! No bleed through at all. Not even my ultimate test pen : my pink Pentel Touch that bleeds through in almost every notebook I own. 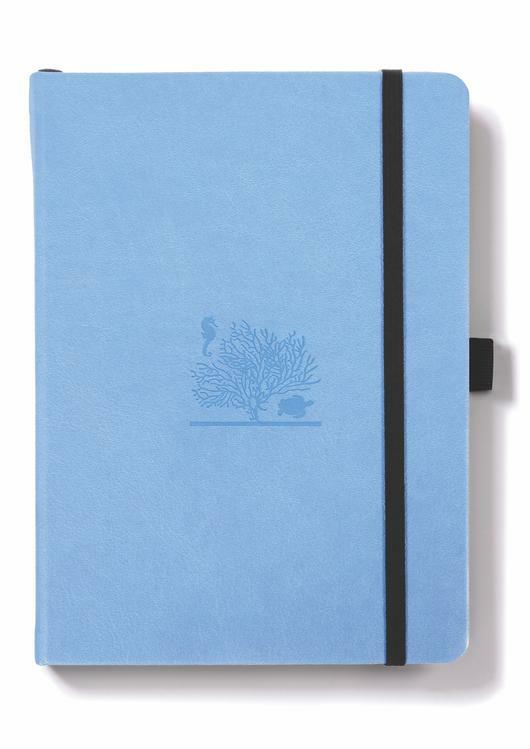 Honestly, this notebook is (almost) perfect! The only tiny detail I’d change would be the paper color which is a bit too yellowish. But that’s nothing! 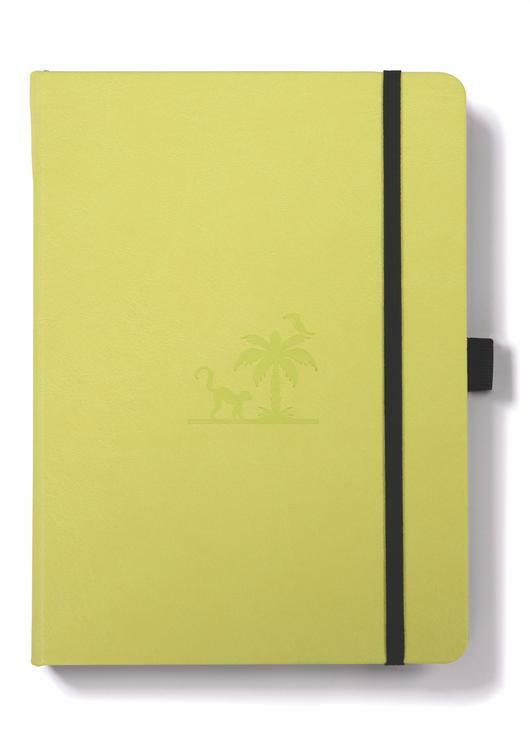 Everything about this notebook is awesome. It offers great features I can’t wait to use such as the tabs! But the most important thing here is the quality of the paper. It’s smooth, it’s thick, it handles ink perfectly. I had high expectations and I wasn’t disappointed! 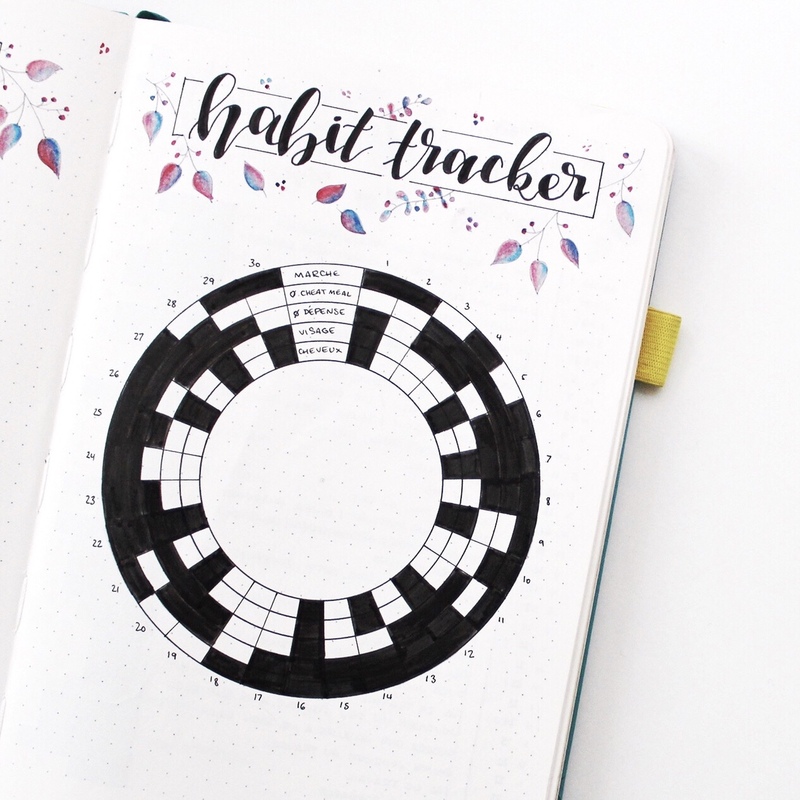 The Earth Collection is perfect for bullet journaling. 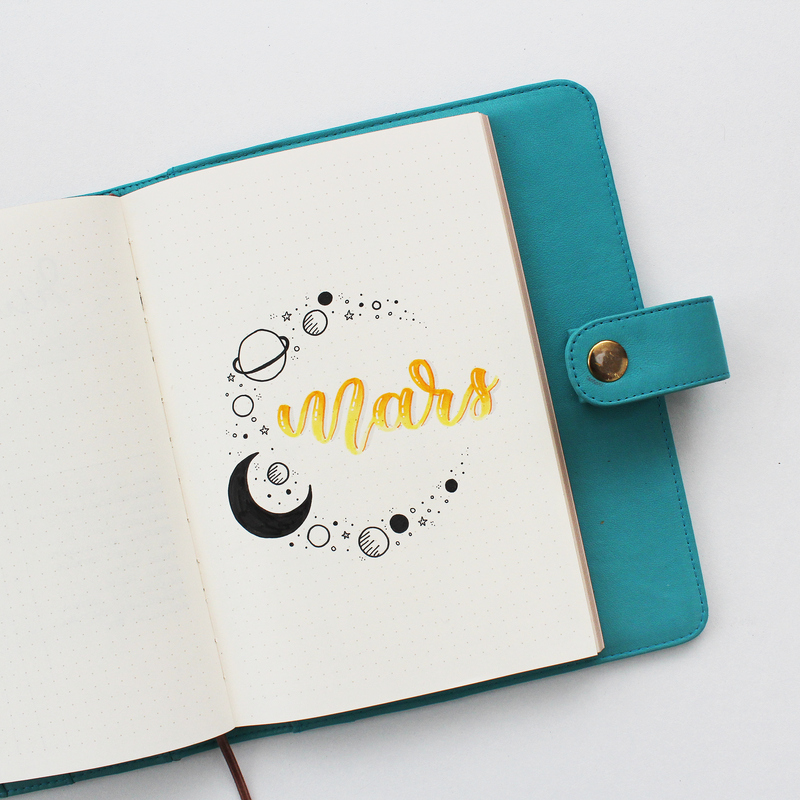 This notebook is clearly one of my favorite. Congrats to the brand for this beauty! 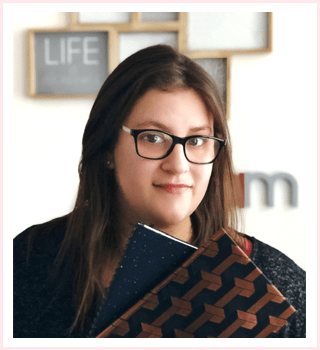 They listened to the users and brought the quality of their products to another level to offer us a notebook that’s near perfection! 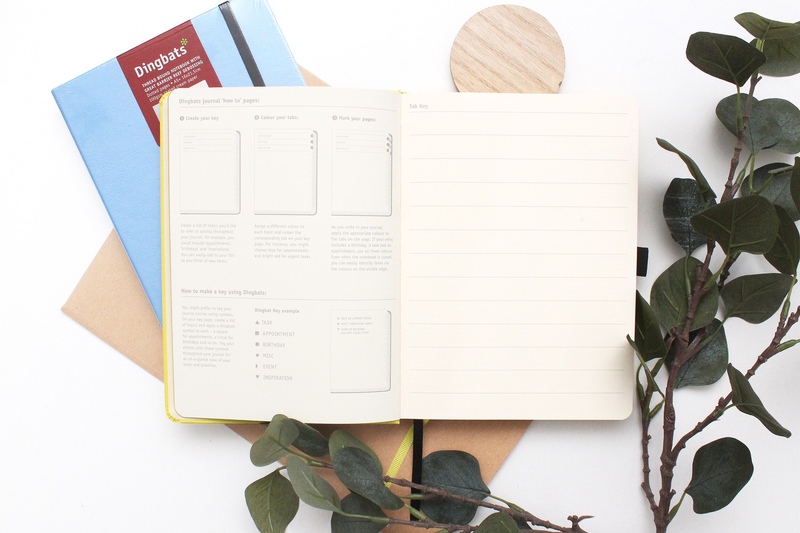 If you want to give this notebook a try, Dingbats* offers you 10% off your order with the code ADY10! Head to the brand’s website to shop!